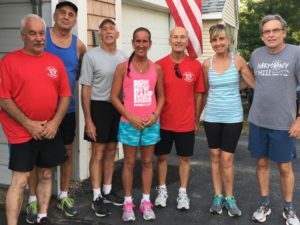 Fun run hosted by Ken and Sue Houle at their lovely Lakeside home. Good time had by all! L-R: Brad Wingate, Mike Dubois, Kenny Houle, Lisa C., Jim DeJohn, Kathy P., & Brian G.